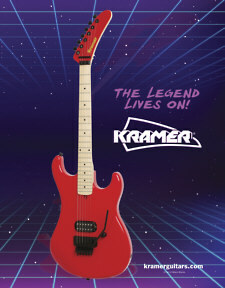 Vintage Kramer was created to remind and inform fans of an 80's legend, Kramer Guitars . This guitar company started out in the 1970's as an aluminum guitar maker, and evolved into an 80's rock guitar legend when they realized there was a definite niche for 80's players and the guitars they wanted to play. 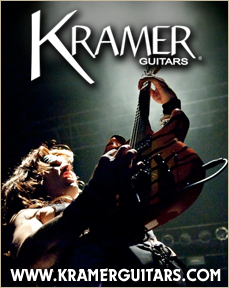 Vintage Kramer is created and maintained by Kramer fans and enthusiasts, unlike other sites that are ran by dealers. Thank you for your support! January 23 , 2019 - The Legend Lives On!! Exciting news to all Kramer fans. New models will be available this week at NAMM for Kramer including the long awaiting Kramer Nightswan!! Additionally, there are other exciting models that you will only see here first, on Vintage Kramer! Click here to read all about it, and most important if you are at NAMM this week, don't miss the Kramers! Kramer Museum in Paso Robles, California....Now Open! 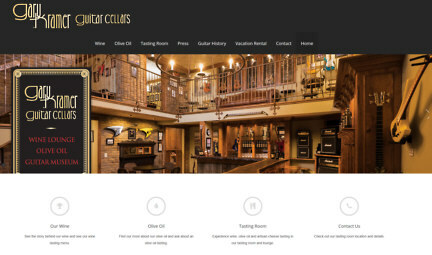 Kramer fans, Gary Kramer Guitar Cellars (with Kramer Forum lounge) is now open in Paso Robles. Check out the article just posted for a detailed write up. If you have not visited Paso Robles in the past, I highly recommend you do. Aside from Gary and Laura's great wine and olive oil, Paso is an excellent landing spot for wine touring or the main Firestone Brewery Campus. The central coast is calling you! Check out their website here for a full detail of the tasting room. Sammy lately has been pushing his new show, Rock and Roll Road Trip on AXS TV. While this guitar has been seen in many photos before, this is the first time we've seen very detailed photos of the guitar. The most interesting thing about this guitar is the red Floyd and Schaller tuners. Yes, there were colored Floyds and Schallers offered on Kramers, and for direct order from Kramer back ni the day. This is an amazing instrument, its so good to know Sammy still plays this one occassionally and holds it in high regard!! 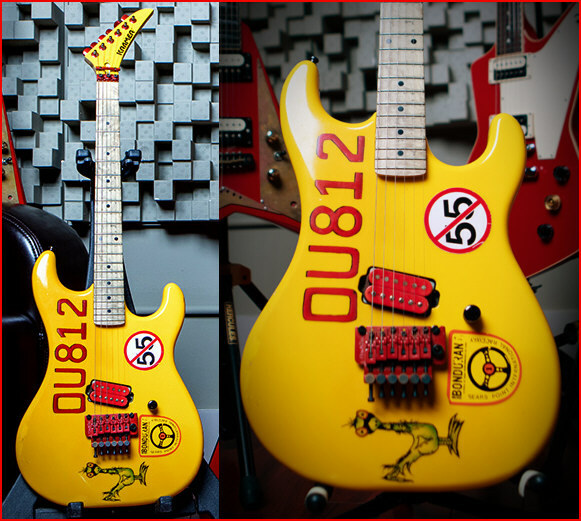 Now to find detailed photos of the Red custom Baretta from the 5150 and OU812 tours. Credit to www.mercuryinsurance.com for the photos. Support our friends over at Rt1 Guitars! Looking for a new Kramer? Check out their inventory and ebay auctions. 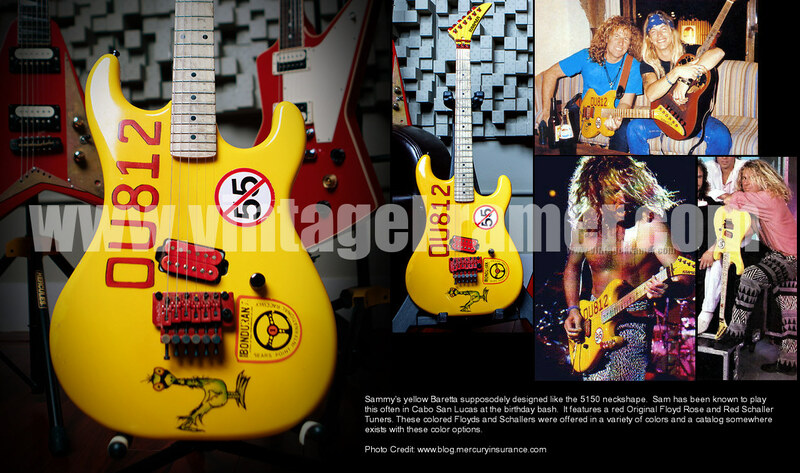 They have many Kramer models, including Strikers, Pacer Imperials, and others to choose from in addition to many guitar parts and accessories. express written consent is provided by Mike Wolverton / Michael Wolverton.